Hello! Welcome to AT Home Pets Rabbitry! 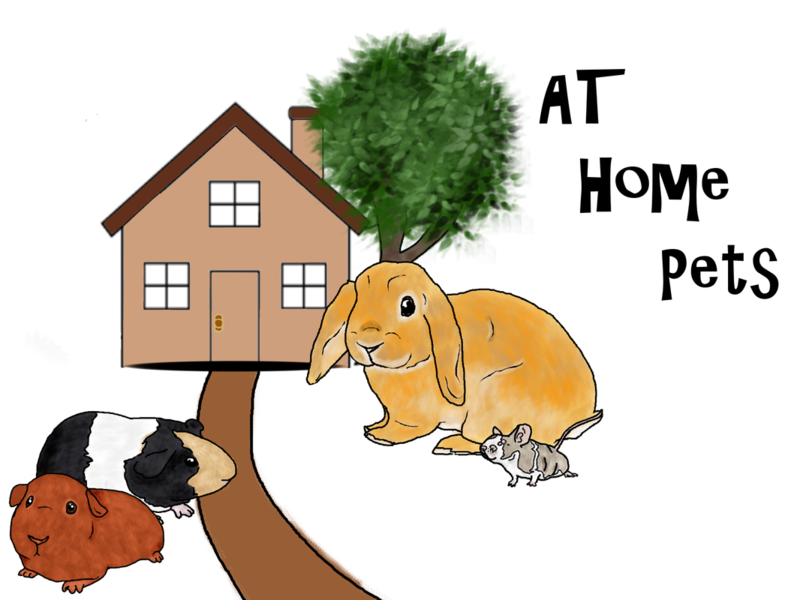 AT Home Pets was started years ago as primarily a dog walking and pet sitting business. I also raised mice and guinea pigs. Loved my guinea pigs and now my son raises mice! My rabbitry started with me doing rescue with bunnies and rediscovering my love of bunnies. I had bunnies as a teenager and I love having them again. 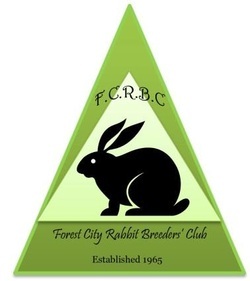 I started breeding rabbits when I was gifted with two holland lops. I also started breeding mini rex (which are a really neat breed of rabbit). Over time I got into pedigreed rabbits and showing, did a stint with harlequins (great breed but tough). I moved out of the harlequins for a while and bred a darling breed called polish. Now I predominately have holland lops. i have some mid-sized mixed breeds. I still do some rescue work but not as often as I used to. I ALWAYS take back bunnies that I have sold. I continue to show rabbits and have some successes. I find it fun to show, but only show about four times a year. Family life often intervenes. I do like to breed good quality rabbits and guinea pigs. Not only to breed a rabbit with a sound personality, but a rabbit that looks the way I want it to as well. I like rabbits that are mid-range on the intelligence score... a rabbit that is too smart gets into trouble, a rabbit that is stupid is just a misery to take care of. The end result is a rabbit that is curious about the world without being pushy about it, a rabbit that is easy to handle. The longer I own rabbits the more I want them to meet show standard and I'm getting closer to that. I have some rabbits now that are fairly decent and I am simply delighted. Maybe I will just end up with chocolate tricolours! It's a goal that I am aiming for and hopefully by the end of this year I will have it! 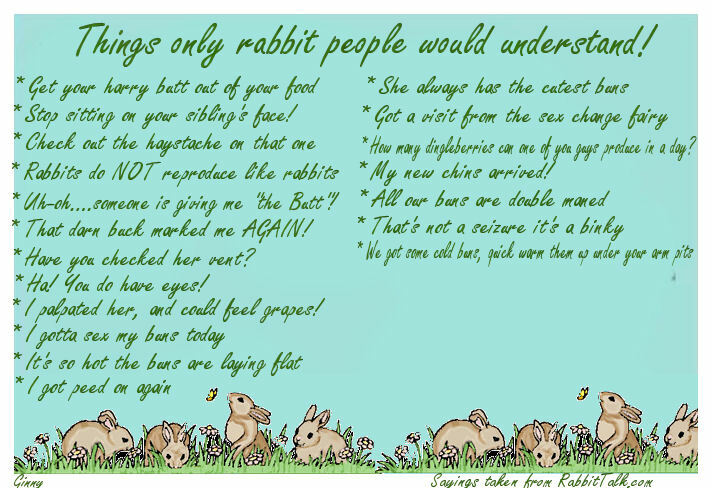 one of the folks (glittermomma) on rabbittalk.com put this image together. Made me smile. to follow the conversation, click on the image to be taken to the post. 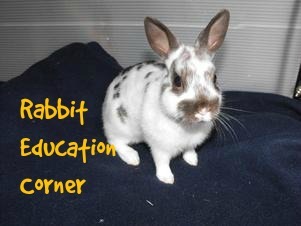 Click me to learn more about rabbits and guinea pigs. Website is updated weekly at minimum. Click image to the left to go to articles. Natural Feeding of rabbits. I've decided to add this section after rescuing some rabbits that were "natural fed". Natural fed means giving your rabbits a diverse diet... a diet of carrots, celery and hay is NOT a diverse diet. Giving your rabbit a diet of carrots and celery is akin to giving yourself a diet a chocolate bars. Not so healthy eh? 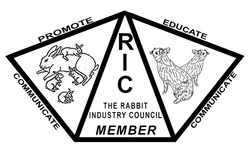 Please go here to learn more about naturally feeding your rabbit. Rabbit boards and sites you might be interested. Pets, Meat, Show, Fur.. all sorts of rabbit people here.